With plans from NASA to launch a manned mission to Mars by the early 2030s, and other private companies like Space X hoping to make humans a multi-planetary species in the distant future, the red planet has never felt so close, yet so far off. However, until such grandiose visions of the future an actual reality, we thankfully still have plenty of media out there that gives us an idea of what that future may look like. These imaginings find their home in science fiction novels, films, and a format very near and dear to our readers -- video games. Video games are the best format for us to potentially experience what space exploration might look like, while in the comfort (and general safety) of our own homes. NASA itself has already released a game for free on Steam -- known as Moonbase Alpha, it's an educational tool which models what the future of moon colonization might look like. With a manned mission to Mars seemingly far off in the distant future, Tyler Owen of Random Seed Games is bringing a simulated experience to gamer everywhere with an otherworldy sandbox game called Lacuna Passage. This game aims to give us a window into that distant future, while delivering a fun and intense fight for survival. Recently released to Early Access program May 17th, Lacuna Passage is now available on Steam. 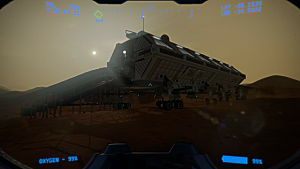 Currently the game only features a survival mode in which you're stranded on the surface of the Red Planet itself, in an open world environment spanning 25 square miles. The full release of the game plans to feature a fully functional single-player campaign, with a fleshed out narrative. 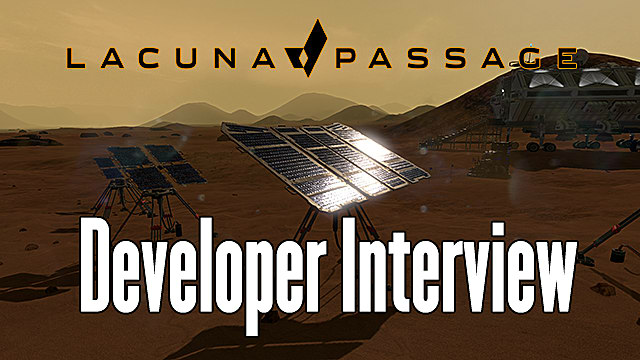 I had the opportunity recently to chat with Tyler about Lacuna Passage, its inspirations, what features players can expect, and the potential future of the game as it moves through and leaves Early Access. GameSkinny: What about Mars -- or more specifically the Lacuna Passage itself -- inspired you to make this game? Tyler Owen: I knew I wanted to make a game set on Mars when the Curiosity rover first sent back photos of the Martian surface. I kept thinking about how cool it would be to be in control of that rover and going wherever I wanted to go, taking pictures of anything I wanted. A game was as close as I was going to get to that experience. GS: Were there any films or novels that lent you inspiration? TO: Definitely. Early in the prototype phase, I got my hands on the book The Martian, and that had a big influence on the direction the game took. Of course, when the movie came out that certainly began to influence the look and feel of the game as well. But well before The Martian came along, I was a big fan of other science fiction stories like 2001: A Space Odyssey. So yeah, I take inspiration from many places. 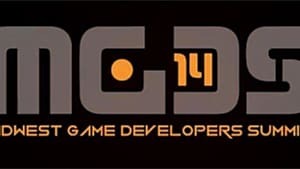 Ultimately I wanted to make a space game that was more relaxing and exploration-driven, and not some horror action experience because those have been done to death. GS: Have you spoken with or got any guidance from experts within the field, astrophysicists or astronomers for example? TO: Actually yeah. I've had astrophysicists and NASA employees reach out to me during the development and offer their assistance. Sometimes I'll relay an idea and I have to find out if it is technically feasible or realistic. In the end I have to make some decisions that are just for the sake of making the game more fun, but I always try to figure out how things might really work. GS: What went into the process of creating a terrain with this scope and size? TO: I knew that I wanted the game world to be large, but I thought that was going to take a lot of work to faithfully recreate an environment of that scale. Then I realized, maybe I don't have to recreate it -- maybe I could create it as it actually is using 3D scans of the planet's surface. So I found someone who could help me convert those scans into heightmaps for our terrain, and that's when I knew we had something special. In Lacuna Passage you are actually walking around on real Martian features. GS: Looking back at these past few years of development, what would you say has been the biggest challenge or hurdle to overcome? TO: Game development is not a straight path. You are constantly running into challenges that make you have to rethink a lot of things. For me, when we really started testing the gameplay I knew that we needed to really expand on the survival elements because it was the part of the game that really made you feel like an astronaut. That's when I decided we should shoot for a survival sandbox on Early Access. It is the best way to test and get quality feedback, and all of that will eventually serve as the gameplay foundation for our story mode in our final release. GS: What kind of threats to survival will players encounter or have to deal with on the Red Planet in survival mode? TO: The biggest threat is finding nourishment and rationing your supplies. Secondary to that are your life support systems that you must maintain and repair if they break down. You might go to sleep in the habitat one night and wake up when the power goes out because you forgot to run diagnostics on your equipment for the last two days. But if you are prepared, then those scenarios aren't nearly as life threatening. It might only require taking an EVA and replacing a fuse. I've got many planned updates for the future though, like sandstorms and other unique disasters. GS: Will there be a crafting and resource system? TO: Yes. There is a crafting station where you can build various supplies and components, many of which can provide you with more optimal ways of equipping your habitat so that it has fewer equipment failures. GS: Will there be any kind of end-goal or objectives to complete in Survival Mode? TO: Currently the primary goal of the survival sandbox is just exploration and seeing how long you can survive. I will be adding a score screen so you can try to beat your previous best run, but I'll also be adding some side objectives like collecting geological research or surveying various landmarks. GS: Will the price of the game increase once the full release is out? TO: It likely will. The planned Story Mode that we want to include in the final release will be a significant addition and add several hours of interactive narrative. So if you want in now to help us test many of the survival mechanics, you'll definitely be getting a better deal on the price than if you wait for the full release. I'd like to give a massive thank you to Tyler for taking the time to speak with us here at GameSkinny. If you're interested Lacuna Passage, you can pick it up on Steam for $14.99. Or follow the official Twitter account for constant updates about the game's progress. Stay tuned to GameSkinny for more coverage of Lacuna Passage as it develops in Early Access and move towards its full release in the (hopefully not so distance) future!